Are you in search for Latest Railway Jobs? If yes, then we came with a good news. The Railway Recruitment Cell and South Western Railway released a new recruitment advertisement to the unemployed candidates to fill up 136 Goods Guard Vacancies. Aspirants who are interested in RRC SWR Hubli Recruitment 2017 those candidates must check this article completely. Go through the below section and collect the RRC SWR Hubli Goods Guard Recruitment details such as Education Qualification, Age Limit, Selection Process, Application Fee, Pay Scale, and How to Apply. The online application form starts from 8th September 2017 to 3rd October 2017. Candidates who are interested in Railway Jobs this RRC SWR Recruitment 2017 Notification is helpful for you. So, all the aspirants can utilize this chance and submit your application form on or before the last date. By visiting the official website of Railway Recruitment Cell, South Western Railway Hubli all the aspirants can download the application form. Want to know more details about 136 Goods Guard Vacancies then check this article completely. As per the official notification the contenders who are willing to apply for RRC SWR Jobs they have to complete their degree from any recognized university or its equivalent. Before applying for RRC SWR Recruitment 2017 all the candidates need to check the details which are available in this article. The organization has released totally 136 Goods Guard Posts. By the provided information candidates can easily for this Recruitment 2017 through online mode on or before 3rd October 2017. This is a golden chance for the candidates who are passionate to work in Railways Sector. As per the notification, the candidate’s minimum age limit is 42 years, as well as the maximum age limit, are 47 years. Grab this excellent opportunity and submit your application form. The organization will receive the online application forms. Those who are willing for Government Jobs this Notification is the best opportunity. The Category Wise RRC SWR Recruitment 2017 Vacancy details are mentioned in the below section. Before applying for this vacancies candidates must download the application form. Eligible aspirants can send their online application forms until 3rd October 2017. The contenders who are interested in RRC SWR Jobs those candidates can apply for this recruitment. The applicant’s selection process will be based on Computer Based Test (CBT) followed by document verification and Medical Examination. 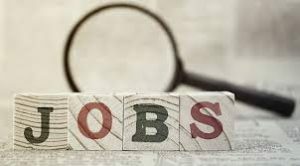 For other state and central government jobs, all the job hunters can visit our website sarkarirecruitment.com regularly. The RRC SWR Recruitment 2017 Notification is Out. The Organization has inviting online application forms for Goods Guard Vacancies. The candidates who are satisfied with their Education Qualification they have to apply for RRC SWR Recruitment 2017. Before applying for this RRC SWR Openings 2017 refer all details such as Education Qualification, Age Limit, Application Fee, Salary Details. All the important information is clearly mentioned in this article. Hope the provided information is sufficient for all job seekers. Collect the entire data and apply for RRC SWR Recruitment 2017. The candidates can refer the official notification for more details regarding application fee. The selected contenders will receive good salary package offered by Railway Recruitment Cell and South Western Railway. For more information refer the official website of Railway Recruitment Cell and South Western Railway. By visiting the official web portal all the interested aspirants can apply. At the end of the article, we have provided a direct link to download the RRC SWR Recruitment 2017 Notification. For more information refer the notification. After completion of the registration process focus on Syllabus and Model Papers. The official website of Railway Recruitment Cell and South Western Railway is rrchubli.in. As per the official news, the candidates who are willing to apply for RRC SWR Goods Guard Jobs they have to complete their degree from any recognized university or its equivalent. The applied contenders can refer the official notification for more details about RRC SWR application fee. The candidate’s selection process will be done based on their performace in Computer Based Test (CBT) followed by document verification and Medical Examination. The selected aspirants will receive good salary package offered by Railway Recruitment Cell and South Western Railway. Refer the official notification for more details about pay scale. Refer the official website of Railway Recruitment Cell and South Western Railway rrchubli.in. Read the application form and fill the required details. Once refer the details and pay the prescribed application fee. Click on submit button and finally take a print out for further usage. The Starting Date to fill the Online Application form: 8th September 2017. The Last Date for submission of the Application Form: 03rd October 2017. The Payment of fees at the Bank Branches: 03rd October 2017.